Carbon Dioxide Emissions have been the topic of debate and heated discussion for some time now. The data derived from many scientific studies and statistical models clearly show the correlation between CO2 emissions and Global Warming - this is a given and irrefutable. The most recent IPCC report indicates that the global surface temperature is likely to rise a further 1.1 to 6.4 °C (2.0 to 11.5 °F) during the 21st century. 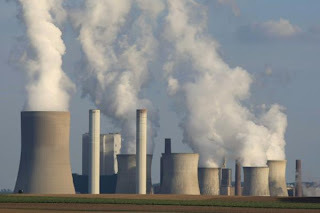 According to the journal "Nature", two studies by a co-operation of German, Swiss and British researchers have shown that if CO2 emissions are halved by 2050 compared to 1990, global warming can be stabilised below two degrees. So then comes the further debate - who is responsible and what can be done to reduce the emissions? It's often normal for the number-watchers to jump to the conclusion that particular countries are most at fault... usually basing these conclusions on total CO2 emissions. The data clearly shows that although we see huge emissions (comparatively) from locations such as the US, China and Europe, the solutions are not necessarily as simply deduced. A picture paints a thousand words - thanks to News.com.au, the following animation simplifies the point I'm trying to make... it's a very interesting picture when you compare emissions to population and GDP. It makes one wonder who are the real offenders? The bubble size on the maps indicate tonnes of carbon dioxide emissions per head of population, the ratio of kilograms of carbon dioxide emissions per GDP and the millions of tonnes of carbon dioxide emissions for key countries in 2007. Data sourced from: International Energy Agency, CO2 Emissions from Fuel Combustion (2009 Edition).